Keeping your dance floor packed is just one of the many talents that Jeff Clark brings to your wedding day. His passion for music and his desire to make sure that your reception is unlike any other-makes Jeff Clark, the right choice for ensuring that “One of a Kind” wedding experience. His enthusiasm, experience and pleasing personality combine to create a celebration that your friends and family will be talking about for years! 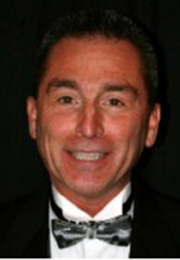 By day, Jeff is a pharmaceutical sales representative and he also owns PROAV Richmond- Audio Visual Rental.